How do you distinguish between copywriting and content marketing? In your personal circles, you might use the terms interchangeably—in fact, many offices and professionals do. But in reality, they’re very different concepts—and if you want to make the most of either one, you need to know why it’s distinct from the other. Copywriting is the art of crafting written messages for the purposes of achieving some marketing or advertising goal. In common vernacular, it refers to the process of creating ads and other materials that show off a brand in an effort to attract more customers. This includes short snippets, including the name and slogan of the brand, as well as bullet points or descriptive text for marketing collateral. In most cases, copywriting needs to be snappy, attention-catching, and emotionally appealing. Content marketing is easy to confuse with copywriting because it also involves writing messages for an audience, often times in an effort to attract them to the brand. The goal here is to produce an ongoing series of materials (usually online, such as on a blog) that are informative and practical for users. These include things like whitepapers, tutorials, and how-to guides. In most cases, content writing needs to be highly descriptive, unique, and practical. 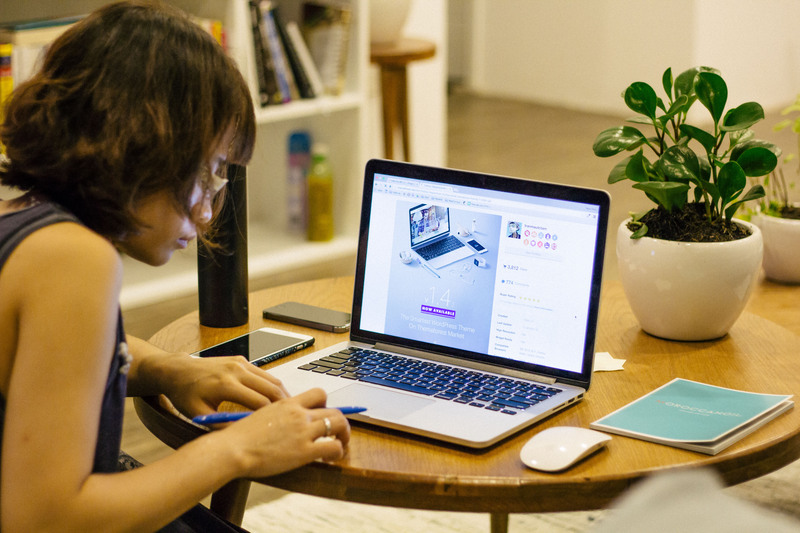 After reading these two descriptions, you may begin thinking that copywriting and content marketing aren’t so different—and there’s definitely some overlap here. Some marketing pieces combine elements of both areas; for example, if you’re printing a brochure, you may need some strong copywriting for the headlines and bullet points, but strong content writing for the interior, convincing portion of the piece. Headlines. A somewhat depressing study recently found that up to 60 percent of all content shared online is shared without the sharer ever reading it. It’s shared based on the headline alone. While this probably tells you something about the average social media user, it should also tell you about the power that a headline can have. Headlines need to be short, snappy, and emotionally appealing—just like most copywriting—yet they’re more frequently considered a component of a content marketing strategy. Calls-to-action. In the same vein, one main goal of content marketing is to secure more conversions for the brand creating the content. The idea is to attract inbound traffic with practical, valuable materials, then use a concise, attractive phrase to encourage them to take further action (such as buying a product or filling out a form). The call-to-action portion of a blog post, whitepaper, or eBook is, in effect, a micro example of copywriting. You’ll need to spend more time refining and tweaking this language than you will the rest of the post. Descriptive information. The similarities also work in reverse; some elements of content marketing are present in nearly all advertising collateral typically defined by copywriting. For example, at some point, you’ll need to describe what your product is, who your brand is, or how consumers should be using your products. This requires extensive descriptive text—more than a sentence or two—and is practical and informative in nature. It’s often a necessary addition to persuade readers. Intent. Most notably, the intents of copywriting and content marketing are significantly different. For the most part, the main function of copywriting is to evoke a specific response from a target audience as quickly and efficiently as possible. This response might be as simple as getting someone’s attention or as complex as helping them make a major life decision. In any case, copywriting is usually associated with outbound marketing and advertising, and its main priority is speed. On the other hand, content marketing wants to attract users naturally, by providing them with the information they already want. Rather than seeking out people to inform or communicate with, content marketing exists on its own, and hopes to draw users in as a kind of inbound marketing bait. Copywriting is more of an art, and content marketing is more of a science. Conciseness. You can easily distinguish between copywriting and content marketing in most cases, based on how concise the final product is. Content marketing demands some conciseness; if your work is too long or too wordy, it won’t hold up to scrutiny and won’t be accepted by your readers. However, copywriting takes this to the next level; it often requires reducing complex ideas and thoughts down to mere sentences and bullet points. Mediums. Copywriting is most often limited to specific advertising mediums, such as brochures, billboards, banner ads, and the main pages of websites. It’s also exclusively related to written formats. Content marketing, on the other hand, may include strategies and tactics in more diverse mediums beyond writing, including infographics, videos, and podcasts. This is because content marketing’s job isn’t just to craft compelling written messages; it’s to inform users as effectively as possible. Goals and Success. Copywriting and content marketing may also define success in different ways. For example, a copywriting headline may be “successful” only if it achieves a certain conversion rate, but a content marketing piece could be successful based on a wide range of factors, depending on what your goals are. For example, are you looking for more traffic? Are you trying to boost conversion rates? Are you just trying to improve the visibility and reputation of your brand? These are all legitimate goals of content marketing, while they’re somewhat rarer for copywriters to pursue. So which one of these strategies is better for persuading audiences? That all depends on your goals and the piece in question, but in general, you’re going to need both if you want to be successful. Copywriting is all about appealing to consumer reactions, while content marketing is all about detailed elaboration and providing practical value. Outbound and inbound efforts are both necessary to secure your brand’s reputation, and any piece you produce (whether it’s an ad or an onsite blog post) will need elements of both to be effective. 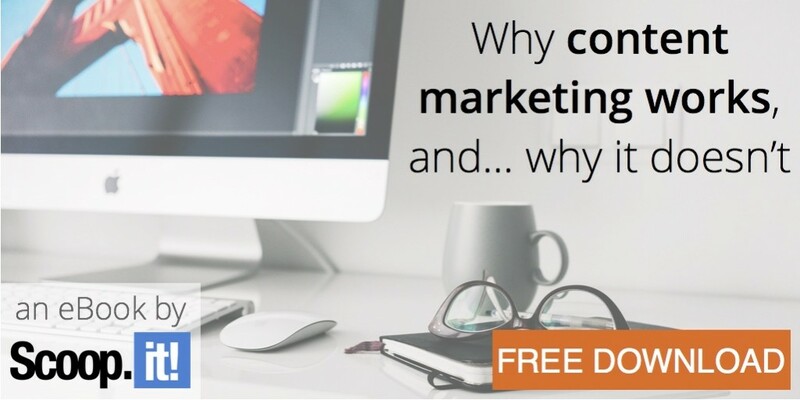 If you want to understand what will make you succeed or fail at content marketing, and get 8 steps to beat the content marketing paradox, download our free eBook! 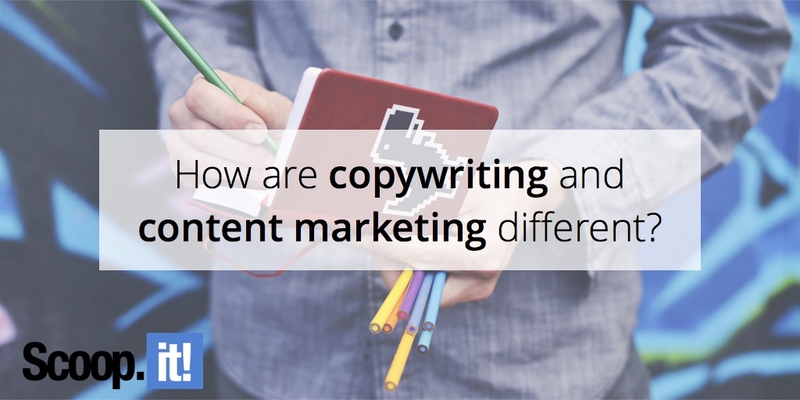 5 Comments on "How are copywriting and content marketing different?" I would prefer copyrighting. The reason its original material. Having original material makes Google happy! Hmm… So is content marketing though. The point Larry makes is that they’re different in what they have to offer. Both are about writing content but content marketing is about educating an audience – not necessarily selling to it. Thanks for the interesting and helpful post. I was really concerned about the ideas of driving more traffic to the website and to get more backlinks. Have used your techniques it really works and helps a lot. Keep up the good work and thanks a lot.